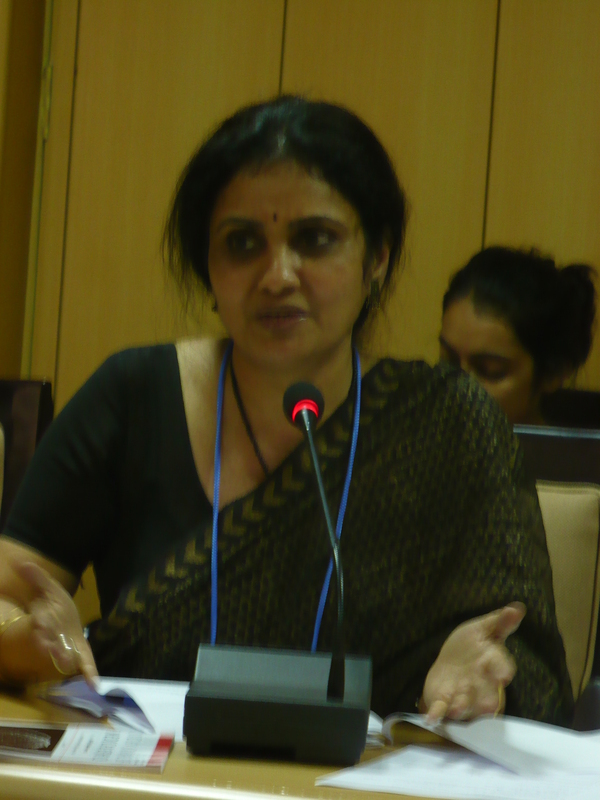 NB Sarojini worked with PopDev as a Social Justice Practioner-in-Practice at the Center for Public Policy and Administration at UMass Amherst. She is the founder and director of the Sama Resource Group for Women and Health, a New Delhi-based nonprofit that conducts action research and promotes appropriate health policies around issues ranging from population growth to malaria treatment during pregnancy. Sarojini has been advocating for women’s rights and their health care for more than 18 years. As Sama’s director, she has coordinated national research studies concerning the potential impacts on women of reproductive and medical technologies, the implications of the two-child norm for marginalized communities, and alternative systems of medicine. In her role as activist, she has campaigned against population control policies and the unethical implementation of HPV vaccine “demonstration projects” in tribal areas of Andhra Pradesh. 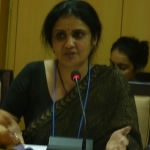 Sarojini also serves on the steering committee for India’s Health Care Planning Commission, is a joint convener of India’s chapter of the People’s Health Movement, and is an organizing committee member of India’s National Bioethics Conference. She consults with numerous national and international organizations, including the Save the Children Fund (UK). Sarojini is the co-author of the book Touch Me, Touch Me Not: Women, Plants and Healing. Nia Robinson worked with PopDev as a Social Justice Practioner-in-Practice at the Center for Public Policy and Administration at UMass Amherst. 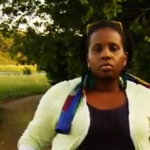 She was the environmental justice representative for SisterSong Women of Color Reproductive Justice Collective. 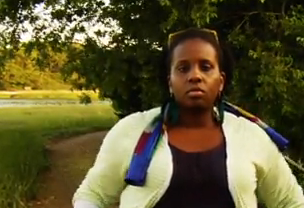 Before coming to SisterSong, Nia served as the Director of the Environmental Justice and Climate Change Initiative, bring the voices of low-income communities, people of color and indigenous communities to the debate over national climate change policy. She is the co-author of A Climate of Change: African Americans, Global Warming and a Just Climate Policy in the US. She has also worked as part of the National Wildlife Federation’s Earth Tomorrow program and as an organizer for Service Employees International Union.